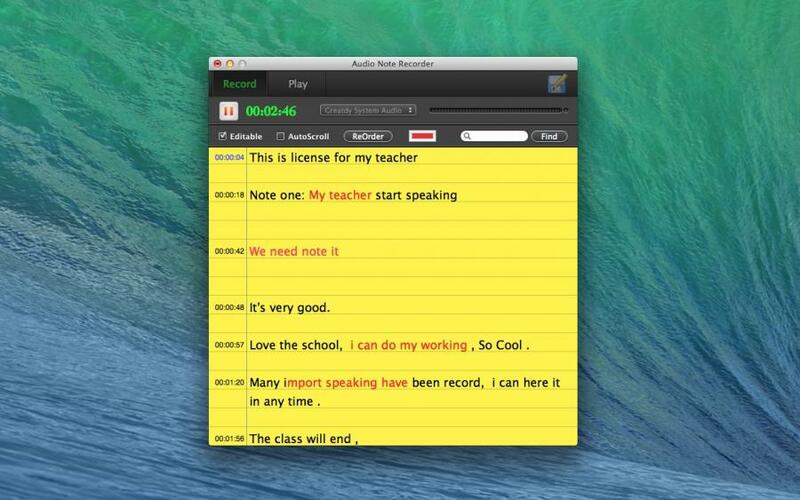 Synchronized note and audio recording. 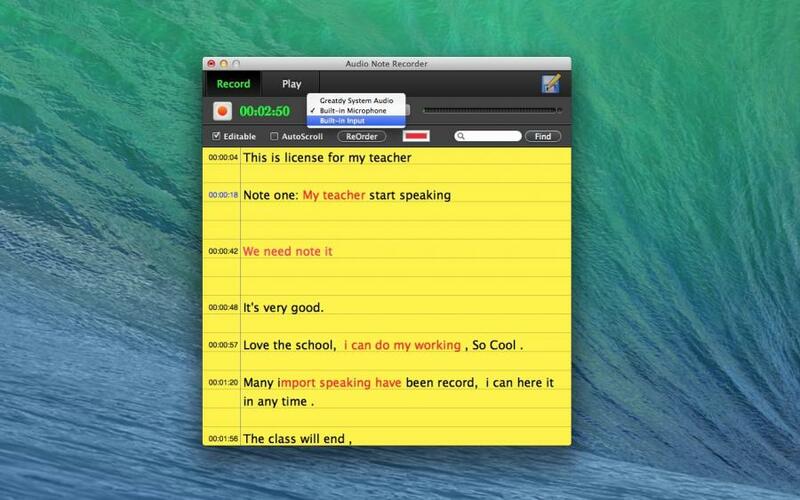 Fully functional text note app, with copy, paste, tag, etc. Seek directly to audio by tapping text. Support Undo / Redo . Export mp3, wav, m4a format audio. 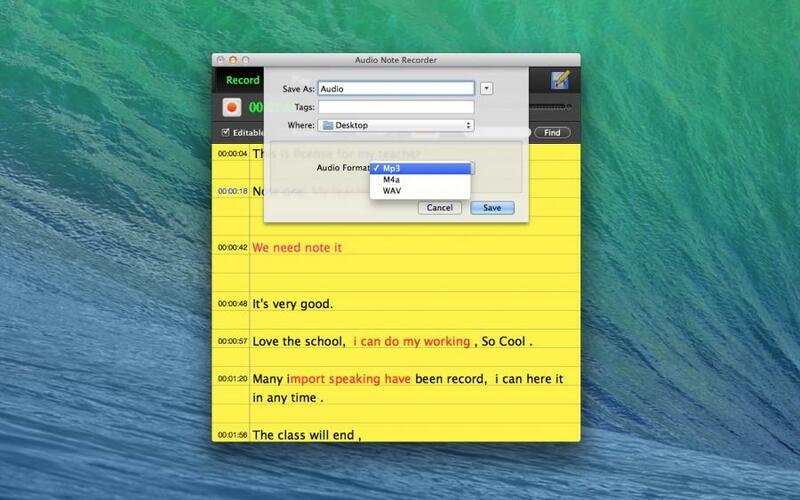 Record notes and audio synced with the best note talking app in App Store. Perfect for business or students! 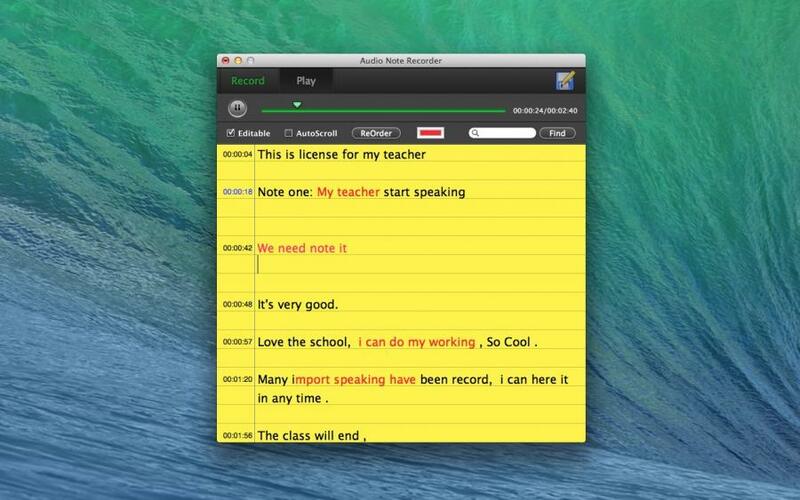 Audio Note Recorder combines the functionality of a notepad and voice recorder to create a powerful tool that will save you time while improving the quality of your notes. * Can Save and open Project. * Support Undo / Redo . * Export mp3, wav, m4a format audio. 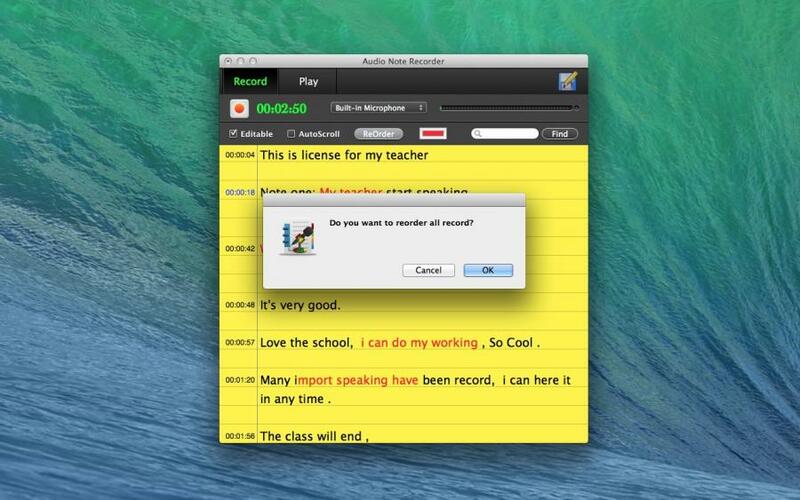 You can use Audio Note Recorder anywhere: meeting, interviews, conferences, lectures, study sessions.